Happy Saturday! 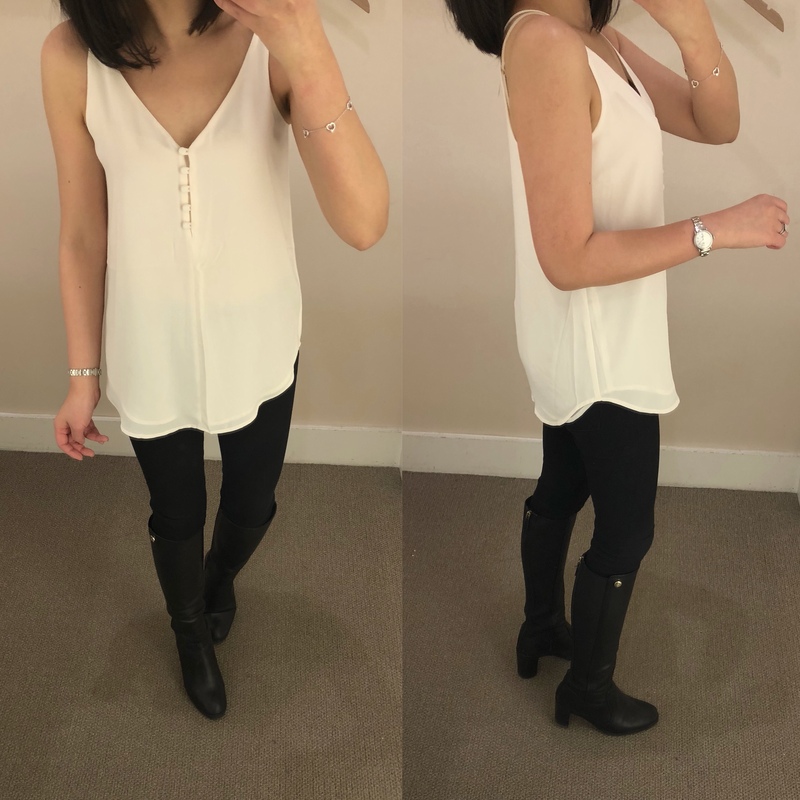 I was waiting for this change in the sale and LOFT did not disappoint! 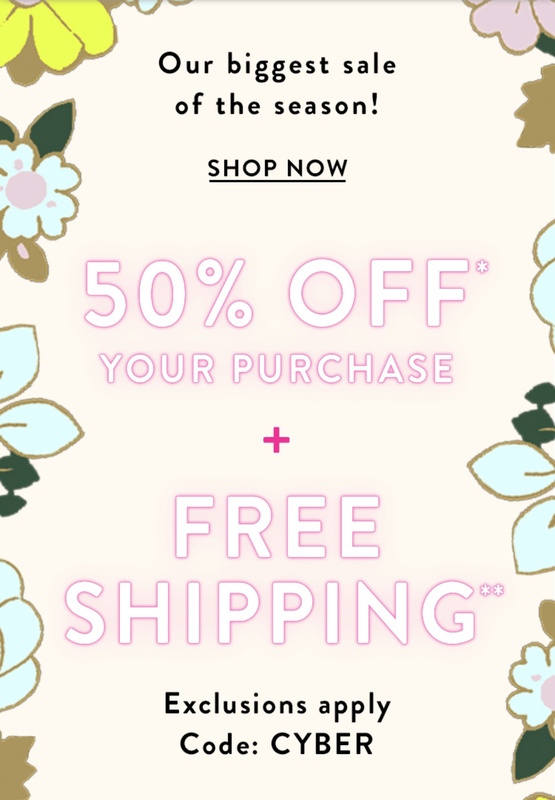 Get 50% off + FREE shipping with the code CYBER. Sale ends April 1st, 2019 at 11:59PM ET. Even the sneak preview items are included in this sale! If you signed up for mobile text alerts they also pushed a unique code for an extra 10% off. Refer to all of my LOFT reviews here. I noticed that for today’s surprise deal this new blossom henley shell is now $20 and no code needed! Since no code is needed you can use code MOBILE25 for an extra $25 off your full-price promotional purchase of $100+ but then you will not get free shipping since free shipping requires using the code CYBER. Per usual, I’ll highlight my favorite sales picks over on my Insta Shop. I just received a flyer in the mail about the new Cardmember benefits for all of the Ann Inc. brands and the biggest perk beginning April 2nd will be free shipping on orders of $75+! How exciting is that? Click here to read the fine print that accompanies the below chart. If you use your card between April 2-30 then you will get 500 bonus points as a welcome gift as noted here. 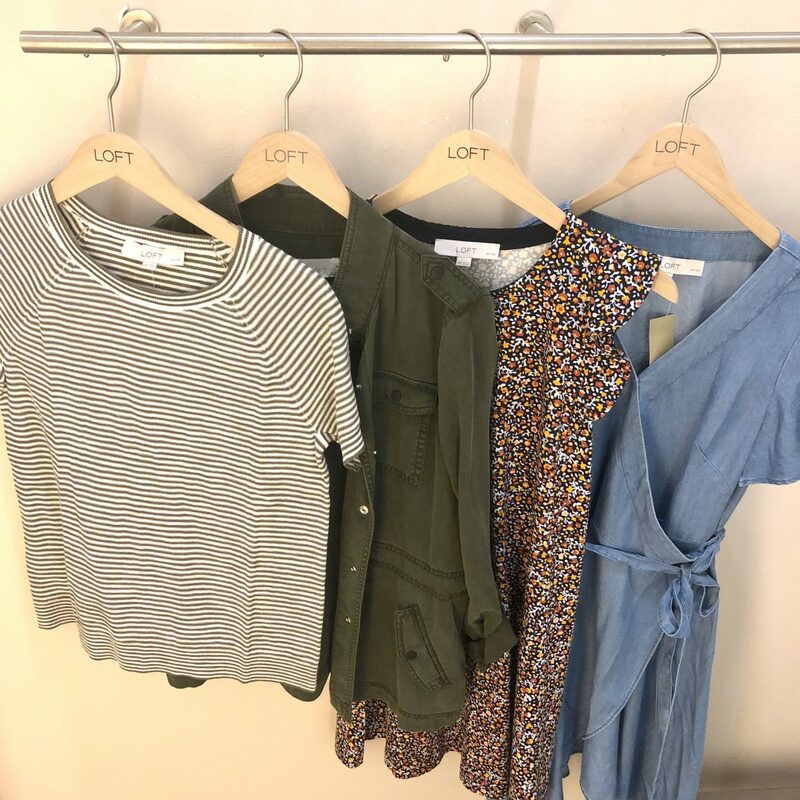 Just a friendly reminder in case you did not get the memo– the LOFT mobile app is going away on April 2nd so make sure to sign up to continue receiving your rewards via email going forward. Update 4/2: Here is the official page that explains the new ALL rewards loyalty program. For size reference I’m 5′ 2.5″ and 108-110 pounds. I’m usually size XS petite in tops and 0/25 petite in pants and jeans. If you’re new to my blog I typically share the link to a short video clip below each image (the same video clips I share in my Instagram stories swipe ups during sales). My Pinterest is also update to date if you prefer a more visual catalog of my reviews. You can also check out my other reviews organized by retailer here. 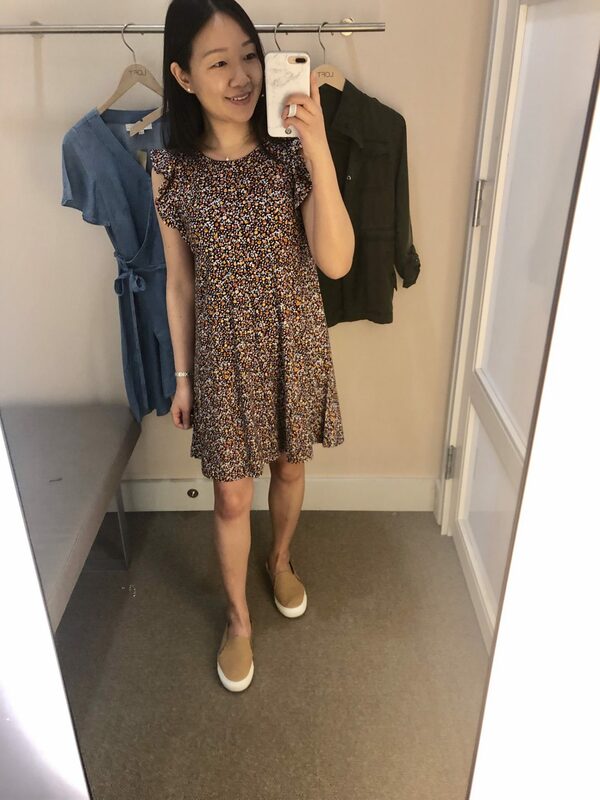 I stopped by my local LOFT yesterday hoping to find new items to try and I can across this dress which fits true to size. The length isn’t too short in petites and I wish it was offered in other colors. 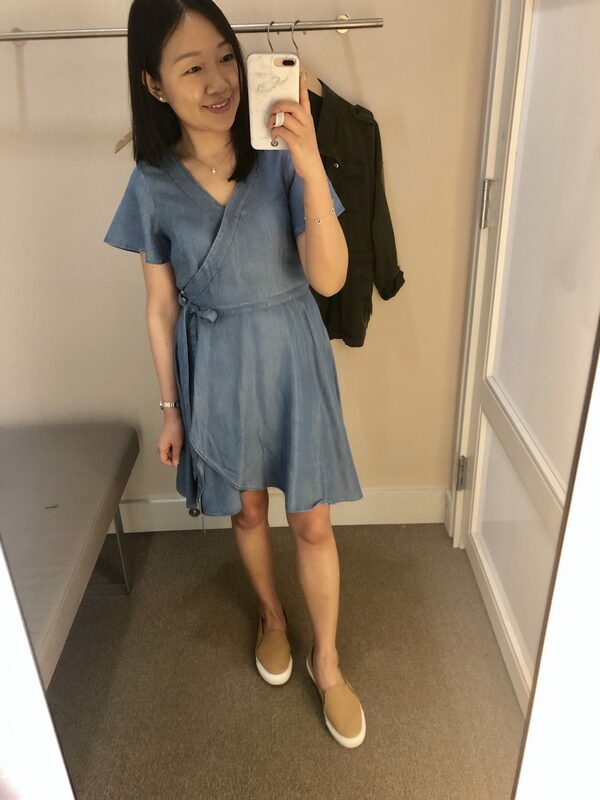 I thought this wrap dress was really cute but the bust darts didn’t flatter my smaller chest. Otherwise my usual size 0P fits true to LOFT sizing and has a 28″ waist. The dress also has a hidden snap button to keep the wrap portion secure. I have this jacket from last year in size XXSP but I regret sizing down since the shoulders are a tad snug. 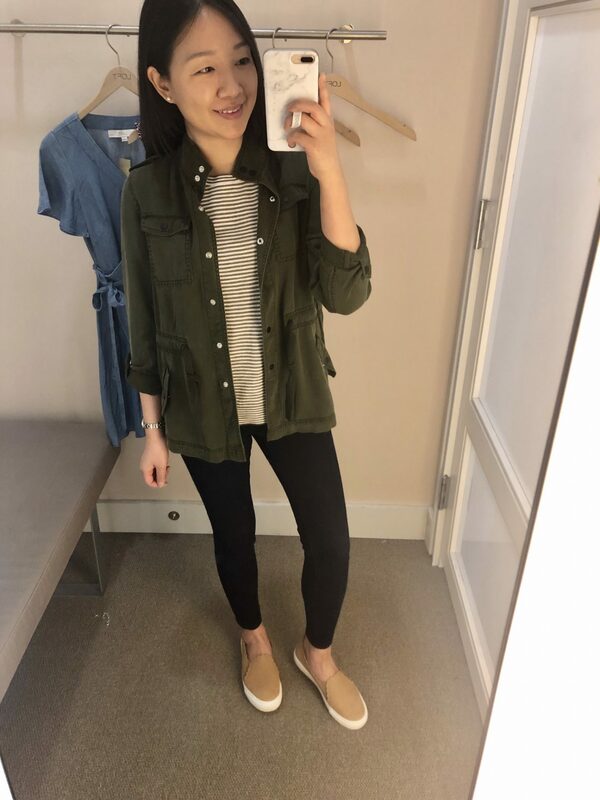 This is a soft jacket that fits more like a shirt jacket and I found that it fits true to size for a relaxed fit. The shoulders run a bit narrow so if you have broader shoulders then you may want to size up. Lastly, this sweater tee is really cute and my usual size XSP is a relaxed fit. The stripes are an olive green color. Here is a better look at the color in good lighting in store. 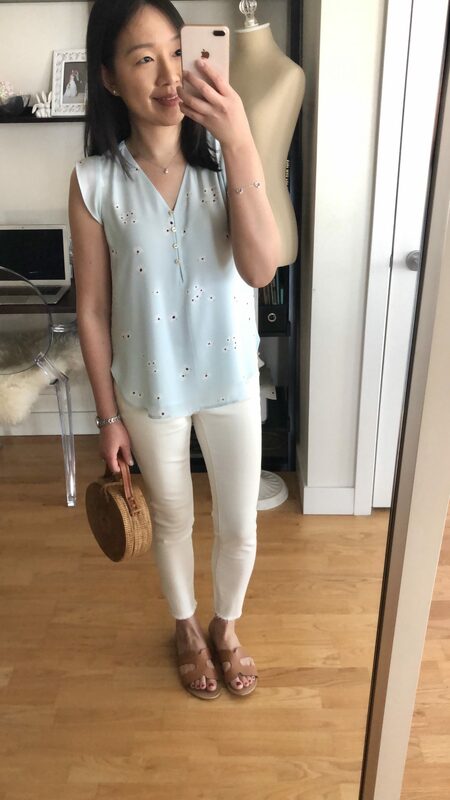 It’s a similar fit as the lacy sweater tee in my previous post but the body is slightly looser. This best selling tasseled tie neck sweater is back again in different colors and stripes! I had sized down last year for a better fit since it has a longer overall length. This best selling long pocket open cardigan (last seen here and here) is back this season in new colors and a striped version. 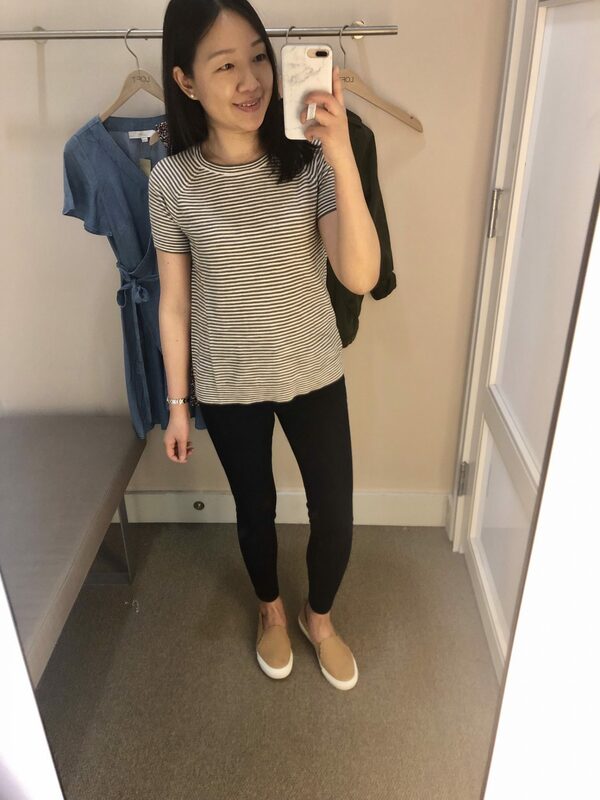 The above picture is from an old blog post from 2017 and I took size XS regular. This year’s version looks like the drop shoulder was one of the design edits. They kept the side slits which I really like. I ordered size XS petite to try for this year’s version. This popular button strappy cami style is back in a lot of colors and prints. I wish that they didn’t make these in a racerback style since I prefer to wear a normal bra. 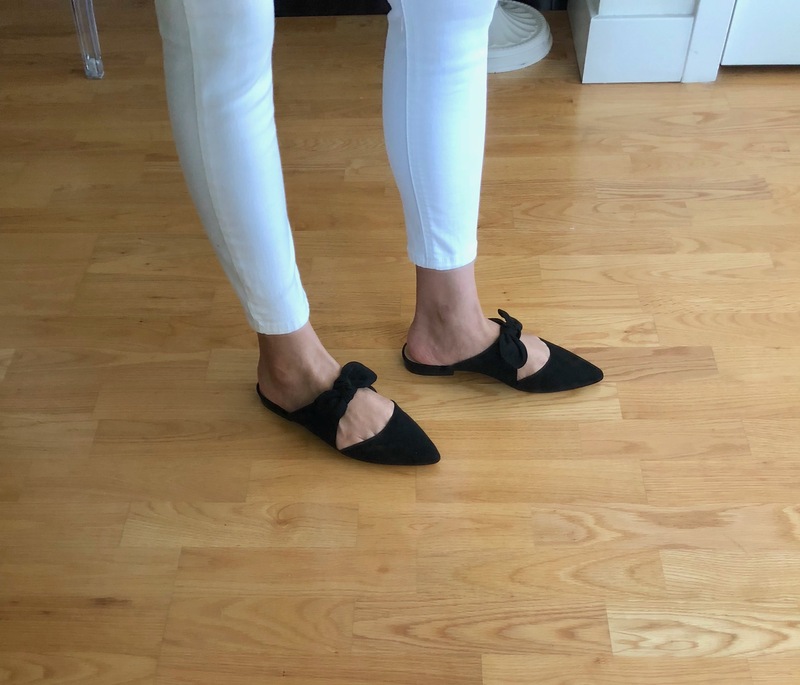 These popular bow slip on flats are also back in a few new spring colors this season. The above black color is from my 2018 review here. They run true to size but only select sizes are left right now. Thanks for the great reviews!! I had to order a few things including the floral swing dress! My pleasure, Kristie! I hope your order is a success! I really like the free shipping after spending $75. 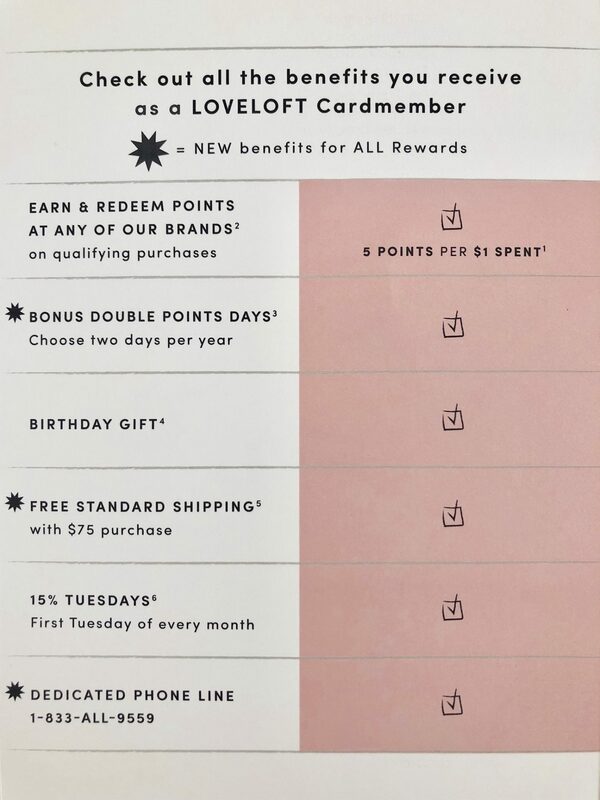 But as I understand it now you have to spend $250 to receive 500 points using your LOVELOFT card. Then you receive $5 off your purchase. Does anyone know what you had to spend previously to receive the $20 rewards card? Hi Anna, It was 2000 points (spend $400 dollars) for a $20 rewards so that hasn’t changed for the Mastercard. Do you mean that you have the store card since I remember that was different and maybe that has changed with this new loyalty program? I called Ann Taylor. I was mistaken. When you look at the terms of the new loyalty program there is a picture of their MasterCard shown. When I called they told me the picture had confused many people. When they say cardmember, they mean both the LOVELOFT and their branded Mastercard. So you receive 5 points for every $1 spent. Very nice upgrade all around. Thanks for the update! That’s great news since I know it was different before this change. I checked the latest comments and I’m hoping our previous rewards points will be updated under the new rewards program by 4/16.